My daughter and I have been busy, busy, coming up with sweet and savory treats to serve at the Sabrage fundraiser for her fencing school this weekend. My daughter is to the right in white. 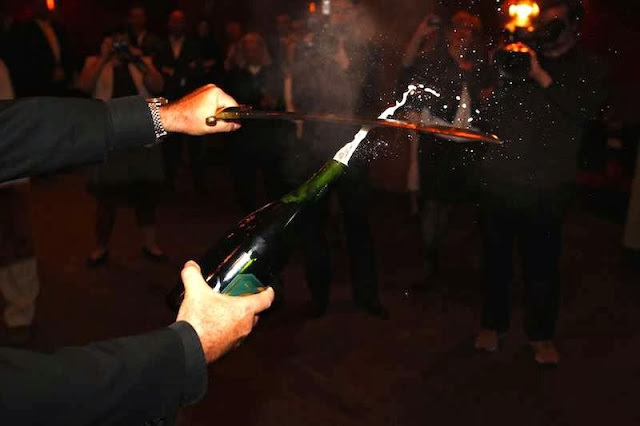 Sabrage is the art of opening a champagne bottle with a sword or sabre that dates back to Napoleonic times in France. It is also a really cool trick to learn for New Year's Eve. I'm sure your friends will only think you are a crazy sabre wheeling person for a moment, before they are impressed by seeing you pop the cork off a bottle with Savoir faire! If you are interested in learning the art of Sabrage please visit my Monday post: Speckloos and the Art of Sabrage. 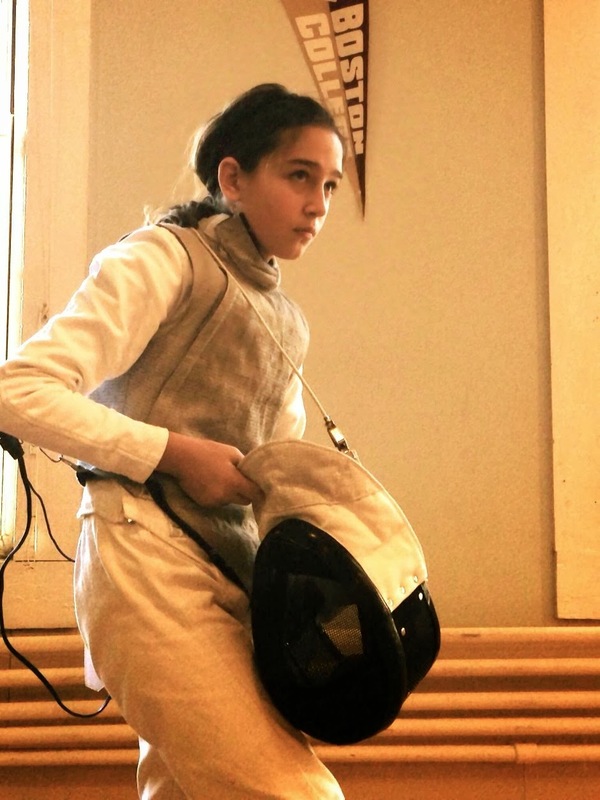 My daughter after 6 hours of fencing in her first tournament. OK, sabres, champagne… ah yes, dessert…which brings me to Coco Sables. 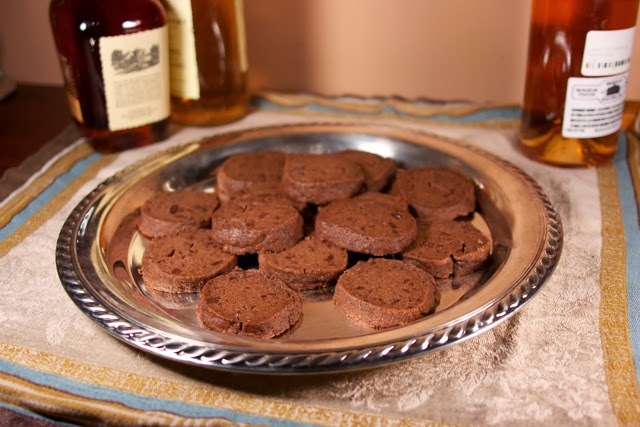 If you are a dark chocolate lover who enjoys a little saltiness, this is the cookie for you. I can't stop eating these… I'm trying to ration one per coffee break over the week. Yes, this is a super healthy stew but there are also really interesting flavors: Chinese cabbage and smoked paprika to name two. Another simple and healthy meal with interesting flavors… just a hint of cinnamon and nutmeg. 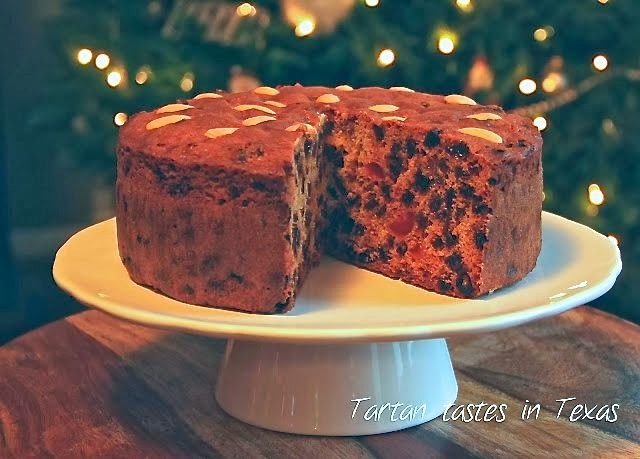 Angela hopes to win Amercians over to fruit cake with this traditional Scottish recipe. She won me over! Join us on January 14th to share a Chinese recipe. We are looking for folks to co-host this monthly party with Adelina and I… please let us know if you are interested. Add your email to our list and I will remind you two weeks before the party and on the day of the party, so you won't forget to link up. Thanks for hosting a great party! I hope your holidays are wonderful! Merry Christmas to you Jamie. I so appreciate you coming each week to this party. Wishing you and your family a very Merry Christmas and thanks so much for the party! You too Miz Helen… Merry, merry christmas. Hope you have a wonderful time with your family. Those cookies look delicious Diane!! I love dark chocolate, so they are perfect for me. If I tried to open a bottle of champagne with a sword, I would end up with a broken bottle!! I will leave that to the experts. ;) Thanks so much for the party. Have a Merry Christmas!! I will let you know how the Sabrage turns out. I usually ge nervous just popping the cork. Merry Christmas to you too Lisa. Hope you have a Merry Christmas Diane and thanks for the party! Merry Christmas to you Deb thanks for being a part of this party this year. Thanks Winnie, thanks so much for being part of Foodie Friday this year. Diane, I am very impressed with your daughter taking fencing and also that clever trick with the champagne cork. That's a new one on me - how cool. 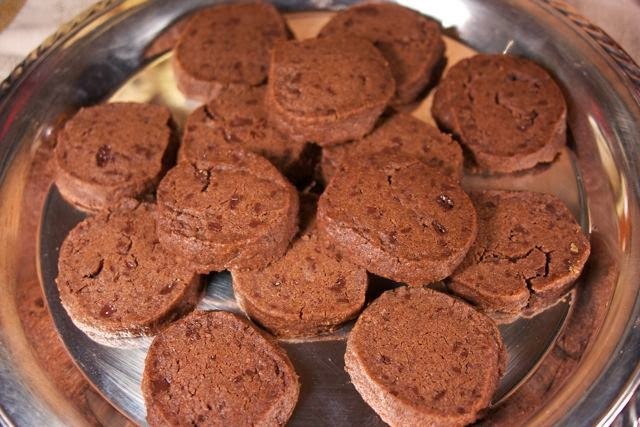 I adore dark chocolate and a little bit of salt elevates chocolate, so as you say, these coco sables are definitely for me. Thank you for hosting each week. I hope you and your family have a very Merry Christmas. 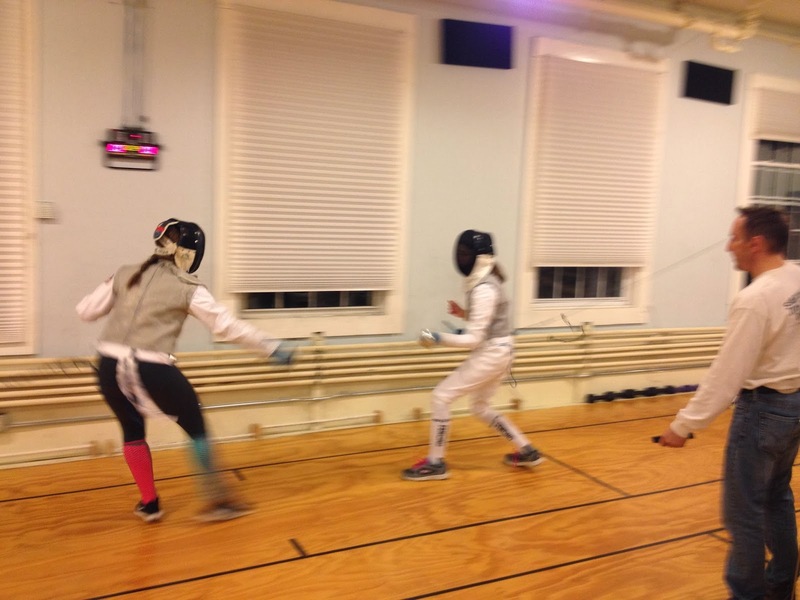 Thanks Sam, she really loves to fence because she is such a mental person. It is a very mental sport. Yes, sabrage is new to me also. Can't wait to try it. Merry Christmas and thank you for being a regular at this party. Always look forward to your recipes. So many warm looking recipes this week! I think it is so cool your daughter is learning the art of fencing. You're raising well rounded kids. The cookies sound wonderful. The saltiness in them is usually what helps me ration them out so I don't eat them all in one sitting. Thanks so much... yes, my kids have tried pretty much every sport. I think my daughter will stick with fencing and swimming,,, my son I still don't know. Hmm rationing cookies... that's a tough one for me. Hello Diane! Long time no see! It's fun to be linking up again. I shared a Pumpkin Pie How-to Video with Crust & Filling. It's both gluten- and dairy-free and fools the pickiest of eaters. :) May you have a lovely and very merry Christmas! Great to see you Gabriela. Sound like a great video. 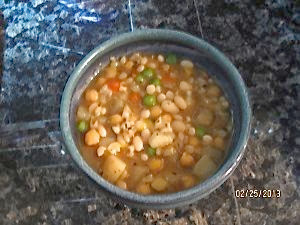 Lots of people have food restrictions these day so it is good to have recipes like yours. Have a wonderful Christmas and Happy New Year too. Thank you for inviting me back. I don't know how comfortable I'd feel about drinking champagne from a bottle that was opened with a sword, but I'd enjoy seeing it done. Merry Christmas! Thanks for the party Diane. Wish you and your family a very Merry Christmas ! You are so welcome.. always good to see you Tanusree. Merry Christmas to you too. You are so welcome Angela... so great to have you here again. Merry Christmas. Just got back from vacation and see that I've missed a lot of goodies! I've never had coco sables and askign myself "Why?" These would be very hard to restrict myself to just one a day. 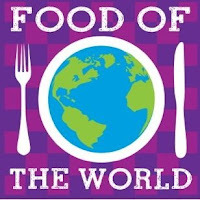 Lots of great recipes linked up with Foodie Friday Diane! Hope you and your family have a very Merry Christmas and New Year! Thanks MJ... I find cookies to be my "trigger" food. I can eat 12 a day if I don't hide them in the back of my pantry. The saltiness of sables makes it a little easier to control the number you eat. Hope you had a wonderful vacation and Merry Christmas to you too. 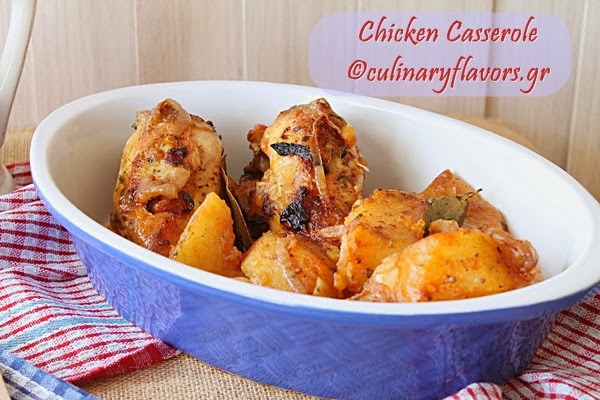 Thanks so much for featuring my Chicken Casserole! I am grabbing my button! Have a very Merry Christmas! You are most welcome... Merry Christmas to you too if you are celebrating now or an early wish if you celebrate in January. This is one of my favourite AMFT dessert recipes. I've made them many times, now, and they're always a hit. It sounds like the fundraiser went very well, too. Yes, but folks liked the Speculoos more than the Sables. I'm with you I love the sables, especially these coco ones.